Let's close out 2011 with how it all began in 2010! The good news re: this project is that the deck is completely clear. The Bill Everett Archives v1 is likely on shelves in late January, the third volume of the Steve Ditko Archives is out of my hands and in production (for an April release), I finished a significant piece on Ditko for a 2012 publication (the proprietor of which should be announcing the details in Jan or early Feb), and I even just dusted the distributor's catalog promo text for the Bill Everett Archives v2 (yep, the publishing wheel begins to turn that far in advance). All of the above means that my entire focus is on tying off my next publication, The Secret History Of Marvel Comics: Jack Kirby and the Moonlighting Artists at Martin Goodman’s Empire that makes its debut at the San Diego Comicon in July of 2012. I just came off a conference call with my collaborator, Dr. Michael J. Vassallo, about where we are with our particular responsibilities, and we are going to have a major announcement about the book next weekend, but let's first recap how we got here. My best friend of almost 30 years, Len Lumbers (noted in comic-book history for the distinction of having three letters printed in Steve Ditko's 10-issue run of the Marvel comic, Speedball), sent me an email back in 1997, advising me of a Steve Ditko Discussion Group on the Internet, and that's what launched me into comic-book fandom. From there, I produced my Ditko Looked Up web site (now mothballed for the time being), and it led to my association with TwoMorrows for my first article in 2001 and my first book, I Have To Live With This Guy! being published in 2002. And, for a blip in 2001, I created and ran the official web site for Steve Ditko and his publisher. But one of the participants on the Ditko group was Dr. Michael J. Vassallo; "Doc V" his moniker, noted for his collection of 1950s Marvel material. He graciously shared information and photocopies with everyone of any artist you'd request. Once I had unveiled the Ditko web site in April of 1998, I began work on a Bill Everett / Alex Schomburg / Syd Shores web site. One day, I was chatting online with Michael and told him that I wanted to start up a Bill Everett Discussion Group. Instead, he suggested that I start a Timely-Atlas list (the names associated with Marvel Comics' output in the 1940s and 1950s). On September 24th, 1999, I did just that and it lasted until late 2006 (topped out at 500 members) when a crash at yahoogroups made the list disappear for a few days. In its absence, Michael started a new one and that continues to go strong (join here). In November 2001, Len and I had the pleasure of staying at Michael's place in upstate New York, mainly driven by me doing research on my first book, but also wrapped around a NYC comic convention. It was right after 9/11, and was the first time I visited Steve Ditko at his Times Square studio (more on that another time) and we saw David Letterman live too (was approached about tickets literally right after leaving Ditko's studio). If you've scanned the pictures taken from the weekend back in November of this year spent at Michael's (click here and work through the links in the first sentence), you'll notice that it is quite the experience to be in his "Fortress of Sequential Art" aka the basement of his house that his wife kindly tolerates. I stayed there again in June of 2008 (and August) when my Strange & Stranger: The World of Steve Ditko book was being released, but it was the subsequent visit in August of 2010 that spawned our collaboration. My Bill Everett biography had just debuted at the 2010 San Diego Comicon, but our August visit was strictly a social call with my 12-year old son, Luke, determined to see the new Yankees stadium (he had attended a game at the old Yankees stadium in Aug '08 with me). By this point, Michael had expanded the scope of his collecting to include more than just Martin Goodman's 1950s comic-book output. Michael's main focus at this time was Goodman's pulps of the late 1930s and 1940s. Whilst the family dog, Cindy (aka "Jaws"), was taking chunks of flesh out of my son's foot and hand (completely unprovoked), I was looking over these pulps and said to Michael, "Wow, there's a whole secret history of Marvel Comics that barely anyone knows!" Michael concurred, saying that there was a ton of material by the Marvel artists who were moonlighting on Goodman's non-comic-book publications. 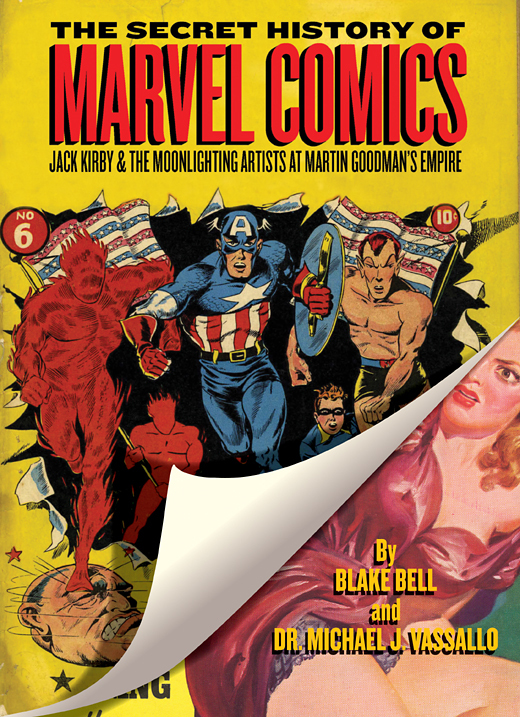 "We gotta do a book on this," I said to Michael, "'The Secret History of Marvel Comics'!" After some debate on the word "secret" (hey, if only a handful of people have this material - Michael now being the #1 collector of Goodman publications by a mile - and no one has showcased and documented this work and history in print, that's a pretty workable definition of "secret" in my book! ), I whipped together a proposal and the publishers of Fantagraphics, Gary Groth and Kim Thompson, agreed to publication immediately. 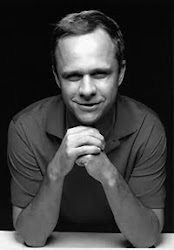 And the rest will be history in 2012 when the book debuts in about 7 months! 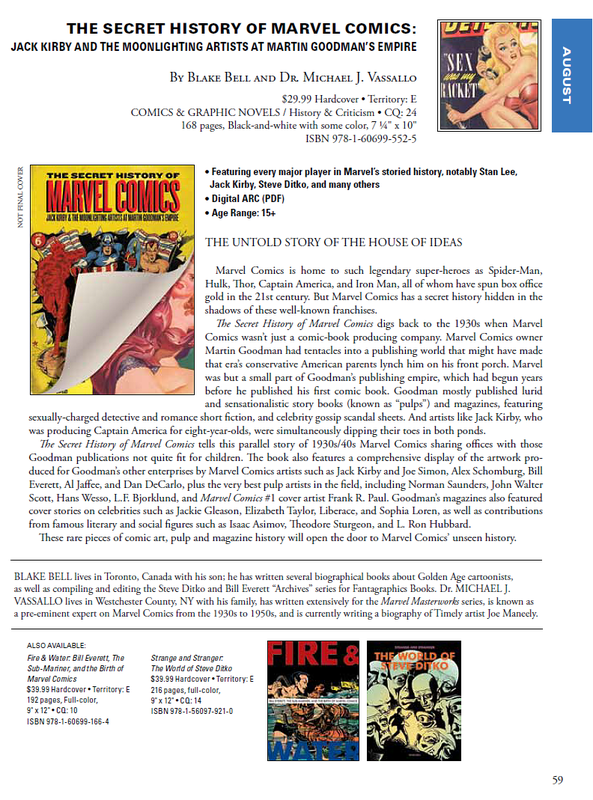 Michael and I landed on two main objectives for the project - one, showcase the non-superhero artwork of the Marvel Comics' artists of the 1930-50s; and two, showcase the fact that comics were, indeed, a small part of Martin Goodman's publishing empire. The artists' crossover was bound to happen, and was far more prevalent than anyone truly understands (based on the stunning volume of material that we keep uncovering literally to this day). Unprovoked??? How about a kid who teases a quiet, humble, never-a-bother-to-anyone, sweet as sugar, man's best friend and companion, literally the prettiest noble little Sheltie in the world by coming at her with a pointed finger right towards her nose? And ya know what? Luke is great big population of "one" person who has ever been snipped at by my gorgeous gal. Think of the kid who yells out "I want an Easter Egg!! I want an Easter Egg!!" and the folks will know that a bigger chunk should have been metered out! I remember visiting the 'Ditko Looked Up' website either in the late 90's or early 2000 and was impressed. I remember writing something about Ditko/Wally Wood's 'Stalker' but don't recall what it was about (probably about the issue count or something). I was more than equally impressed with 'the Strange World of Steve Ditko' book. I experienced the Ditko Spiderman run at age 12 back in the 60's so I was very delighted with your book on Ditko. Keep doing these history books on these artists and the industry -- I think these books are valuable for public research as well as for fans. Bill Everett Archives v1 advance copies in!